West Hampstead Life | Did Foyles start in Kilburn? Did Foyles start in Kilburn? If you have received this automatically and the pictures do not appear, please go to the online Blog. Celine Castelino, a friend of ours, told us she’d found information on the Internet which said that Foyles Bookshop started in Kilburn. We were intrigued and decided to find out if this was true. 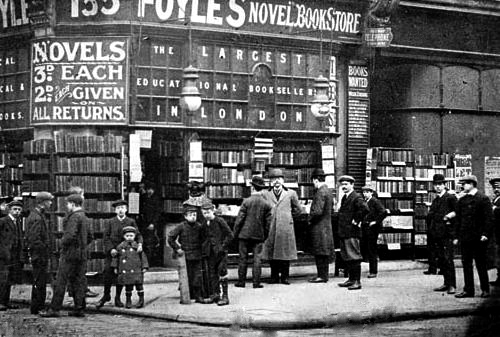 Many of us know Foyles which has been trading in the Charing Cross Road for over a century. You may even remember the system they used for years – of selecting a book, taking it to the counter and being given a ticket to pay a cashier in a small booth, then returning to the department to collect your purchase! William Henry Foyle was a wholesale grocer, born in Finsbury. In 1876, aged 24, he married Deborah Barnett. He gave his address as 9 Curtain Road, Shoreditch. They had six children and two of their sons, William Alfred Foyle (1885-1963) and Gilbert Samuel Foyle (1886-1971) formed the book company. Deborah died in 1894 and William married Lilian Eleanor Murray the following year. In the 1901 census the family was living at 13 Fairbank Street, Shoreditch. William Alfred Foyle’s first job in 1902 was as a clerk in the office of famous barrister Edward Marshall Hall KC, who collected old silver. He frequently sent Foyle to the salerooms. 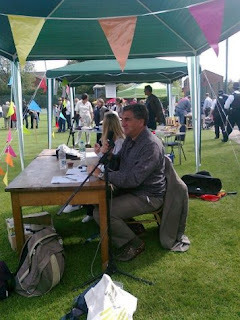 Books were Foyle’s interest and he started bidding for any interesting lots. The Foyles story is that when William and Gilbert failed their civil service exams in 1903, they decided to sell their textbooks from their parents’ kitchen table. Their first wholesale sale was on 14 July 1903. It must have been successful as the brothers decided to open a bookshop in Islington, moving briefly to Peckham before setting up in Cecil Court, off the Charing Cross Road in 1904. By 1906 they were at 135 Charing Cross Road and later they moved to 113-119, their present site. Initially William and Gilbert traded in second hand books and only began selling new books in 1912. 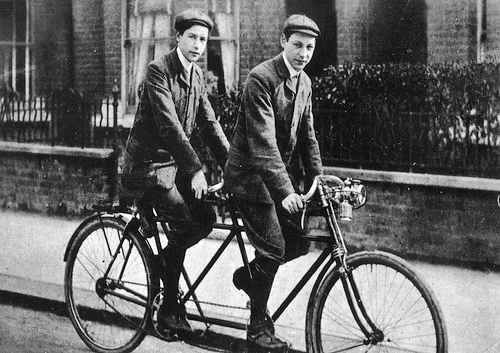 William and Gilbert on a tandem. Unfortunately Kilburn can’t claim to have witnessed the start of this world famous business. The electoral registers show that their father William was living at 13 Fairbank Street from 1885 to 1906, so when the boys started trading they were living in Hackney, not Kilburn. But there is a Kilburn connection. In 1907 William snr moved from Hackney to Kilburn, taking over number 145 Kilburn High Road, between Glengall Road and Priory Park Road. Previously occupied by tailor William Edwin Lee, it became W. and G. Foyle, second hand booksellers, the local branch of the business. They were there from 1907 to 1926. Gilbert lived over the shop with the family; his older brother William lived at 35 Estelle Road in Gospel Oak. 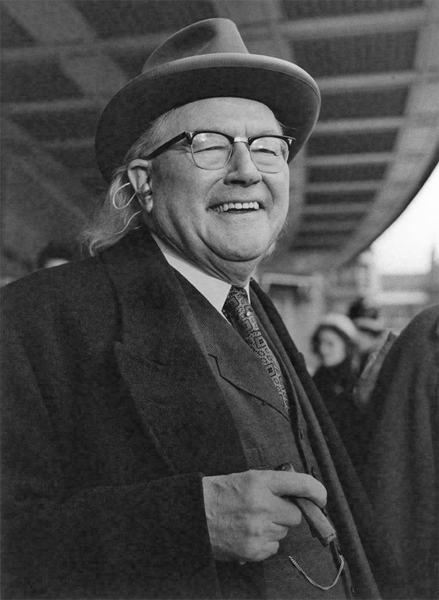 William retired in 1945 when he was 60. By then he’d made a great deal of money, enough to buy the 12th century Abbey of Beeleigh in Maldon where he amassed a great library. He died there on 4 June 1963, leaving £118,989 to his daughter Christina who took over the bookshop business. Christina built a formidable reputation. As a teenager she began the tradition of the Foyles literary lunch at the Dorchester Hotel and during the Depression, she was regularly sent to plead with creditors for more time to pay bills. She even wrote to Adolf Hitler and asked that rather than burn books, would he sell them to Foyles! The shop almost did die with Christina. She’d presided over the business like Miss Havisham, stuck in the past with no electric tills or proper accounting systems. Gradually all the branches and book clubs, the publishing and library supply division that Foyles had run in its heyday, were closed. Next Ian was sent to music and drama, where he’d originally hoped to be placed. ‘Instructions were issued, each accompanied by a prod in the ribs by a long, sharp pencil. I was to sell hard, not look idle, not be idle, not chatter with the girls from the Post Department, and above all, not address the manager by his Christian name.’ Although he had no experience, Ian was allowed to price the huge number of second-hand books that came in daily and were stacked against radiators and bookcases as the shelves were already bulging. He concluded, ‘working at Foyles, although a valuable experience, was not quite what I had expected of the ‘World’s Greatest Bookshop’. In 2000 the Foyle brothers discovered a massive fraud that had been going on for years. Legal action was issued against ten employees. Two senior staff were suspended; the company secretary and general manager of the Charing Cross Road shop, and his assistant manager. Both were accused by Foyles of conspiring with others to defraud the bookshop. There was evidence of a complex invoicing and commission scam which stretched back 17 years. They had secretly siphoned off millions of pounds for books which were never delivered to the shop. The money paid for lives of luxury, helping them to buy homes and meals at expensive West End restaurants. After two years the matter was eventually settled out of court. Christopher and Anthony managed to save Foyles. The company is now profitable and their annual turnover is about £24M. 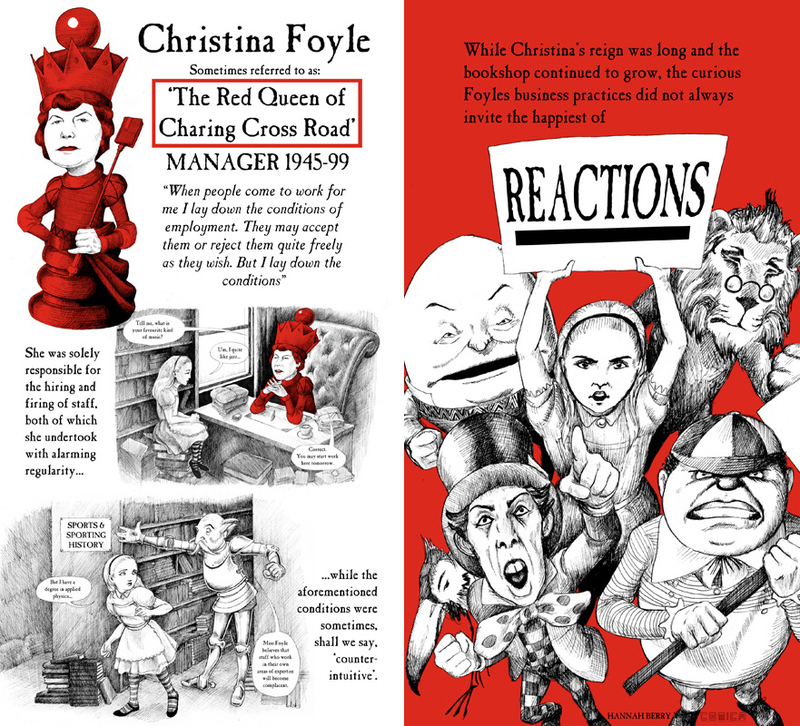 This year Foyles announced the flagship store will move to 107-109 Charing Cross Road, the former home of Central St Martins College of Art and Design, in Spring 2014. Juggling tennis and the Jester Festival 156 West End Lane: empty for three years?